Cox Transfer, Inc. is dedicated to retaining loyal and passionate employees. We value courteous and honest communication with our customers. Our employees are rewarded with competitive pay and benefits. We strive to treat our employees like family. 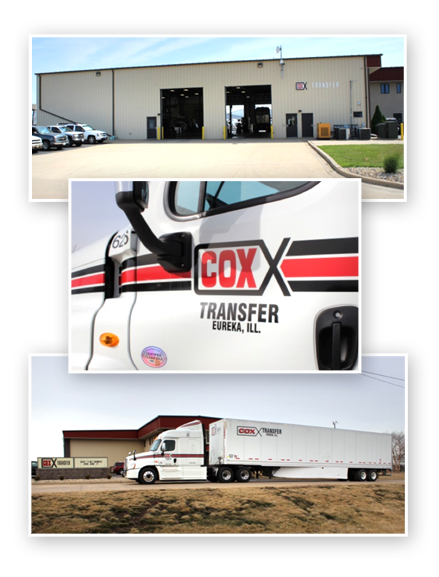 At Cox Transfer, Inc. we have opportunities as a driver or as support staff in the office. To join the Cox Transfer, Inc. family, inquire on the following opportunities. We are looking for drivers that have at least 1 year of recent verifiable OTR commercial driving experience, with a good MVR, a Class A commercial drivers’ license, and want to work in a team environment which is committed to safety and service, and uses electronic logs. In return, we offer great benefits including the use of a company I-Pass to pay for tolls while transporting freight, vacation pay, referral bonus, retention & attendance bonus, fuel bonus, holiday pay, medical, dental, vision, life, 401(k) with company match, direct deposit and more. OTR SIGN ON BONUS – $10,000!! HOME DAILY SIGN ON BONUS – $2,000!! There are no current openings at this time. Check back frequently.